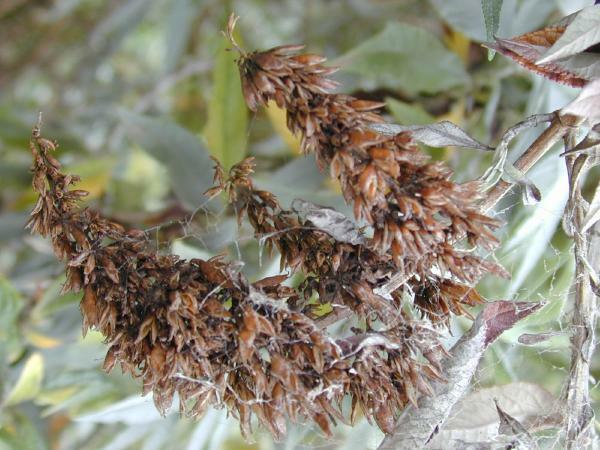 Buddleja davidii is a shade-intolerant woody weed from China, which, with small wind-dispersed seeds, rapidly colonises bare or disturbed sites. It is cultivated for ornamental purposes for its pretty flowers and ability to attract butterflies. It often takes hold in disturbed areas, riparian areas or open woodlands and has proven to be one of the worst weeds to forestry managers in New Zealand, where it out-competes Pinus radiata seedlings. Approval for release of a biological control agent, a leaf-chewing beetle Cleopus japonicus, has recently been given in New Zealand. 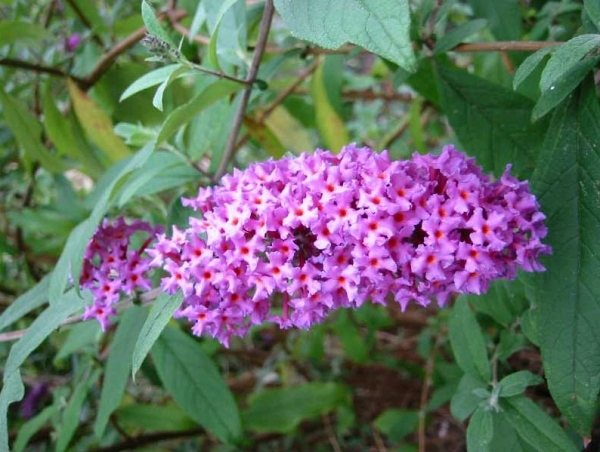 Buddleja davidii is a shrub between 1 and 5m in height with widely spreading branches. The foliage is semi-erect to falling. Quite flexible quadrangular branches. 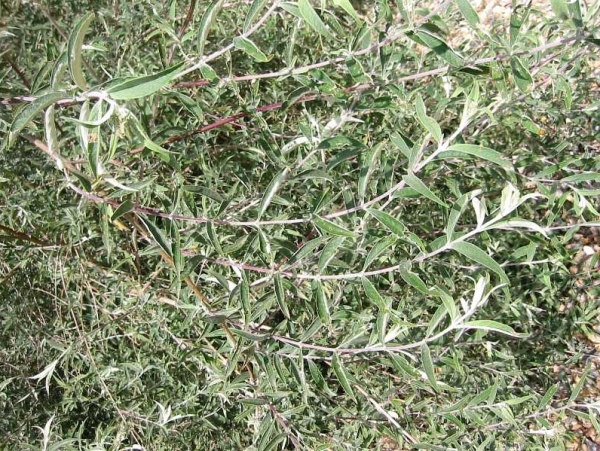 Leaves: opposite, lanceolate, from 10 to 30cm length with slightly toothed edges, upper face dark green and shiny, lower face white with downy hairs. Flowers: gathered in dense and pointed inflorescences approximately 35cm long. Small, (10mm X 3mm) scented hermaphrodite flowers. Corolla in the shape of tube which ends in 4 lobes, coloured white to crimson according to the varieties, with an orange stain in the centre. Flowering from July to October in Europe. Fruit is small, 8mm long capsules. Fruiting from September to December in Europe. Its delicate perfume attracts butterflies. Seeds can remain dormant in the ground for many years. Buddleia is able to colonise a new zone in one to two years from seeding. A shrub can flower and bear fruit in the first year. It can reach a height of 2 metres one year after being cut at the base. 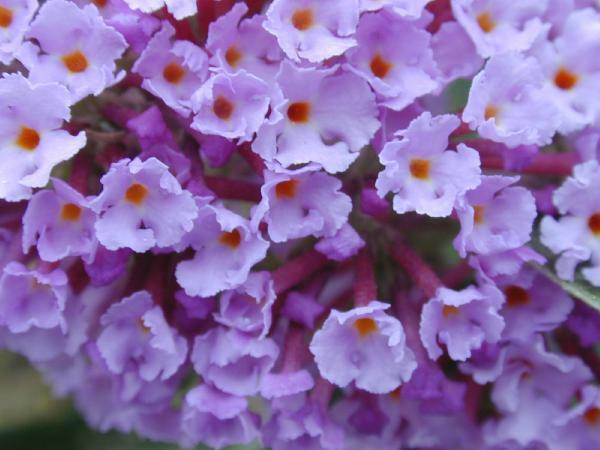 Buddleia is a coloniser of short lifespan (the oldest individual having been found is 37 years old). The largest densities of invasion would normally be observed in the first ten years. This plant is appreciated as an ornamental, and is planted in hedges and other borders. Buddleia usually occurs in open and disturbed sites like railways, the edges of roads, walls, cliffs, building sites, waste lands and ruins. It typically colonises river banks at altitudes of 2000m or more. Sometimes it is found in forests. Buddleia davidii is pollinated by insects, in particular butterflies. 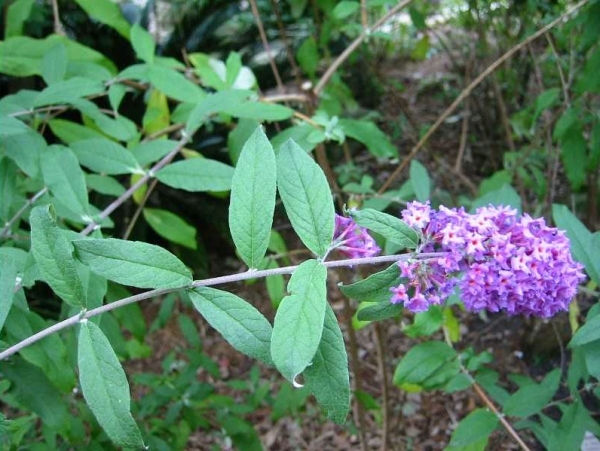 Recommended citation: Global Invasive Species Database (2019) Species profile: Buddleja davidii. Downloaded from http://www.iucngisd.org/gisd/species.php?sc=650 on 21-04-2019. 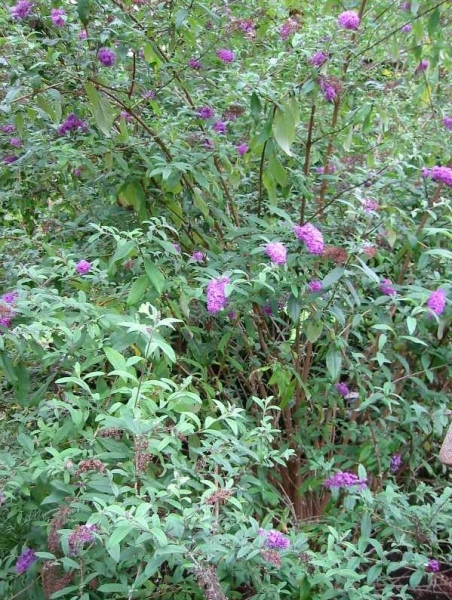 Dense infestations of Buddleia compete with indigenous vegetation of rivers and impede the growth and reproduction of other species of trees and shrubs. Monospecific stands of Buddleia impede access to rivers. Seedlings, which have superficial rooting, are easily carried away in floods and may form blockages, causing erosion of banks. Preventative measures: A Risk Assessment of Buddleja davidii for Hawai‘i and other Pacific islands was prepared by Dr. Curtis Daehler (UH Botany) with funding from the Kaulunani Urban Forestry Program and US Forest Service. The alien plant screening system is derived from Pheloung et al. (1999) with minor modifications for use in Pacific islands (Daehler et al. 2004). The result is a score of 13 and a recommendation of: \"Likely to cause significant ecological or economic harm in Hawai‘i and on other Pacific Islands as determined by a high WRA score, which is based on published sources describing species biology and behaviour in Hawai‘i and/or other parts of the world.\"
\r\nIntegrated management: Management methods such as digging it out are applicable only to minor infestations at the initial stage of invasion. Cutting inflorescences before they bear fruit is a preventative technique, which makes it possible to limit the production of the seeds. 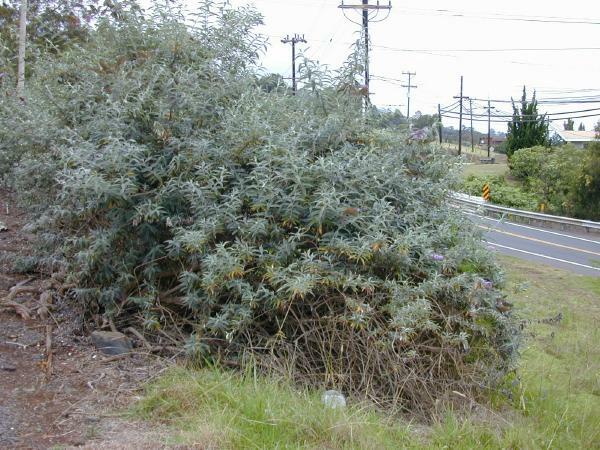 Disturbances caused by uprooting young Buddleia shrubs actually assist its development. After uprooting, planting alternative species is recommended. It is necessary to remove uprooted plants which can grow as cuttings. When it is cut, Buddleia grows back from the stump very vigorously. Cutting must be carried out at the base of the seedling and be accompanied by an immediate white-washing of the stump with a systemic weedkiller. 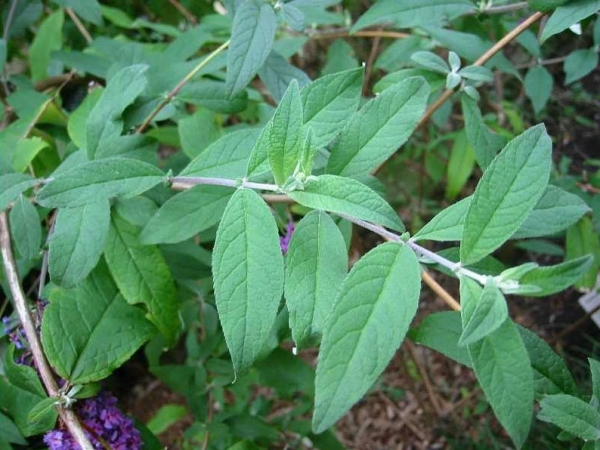 Informations on Buddleja davidii has been recorded for the following locations. Click on the name for additional informations. Brockerhoff, E.G., Withers, T.M., Kay, M., Faulds, W. 1999. Impact of the Defiolator Cleopus japonicus (Coleoptera: Circulionidae) on Buddleja davidii in the Laboratory, Proc. 52nd Plant Protection Conf. :113 - 118. PIER (Pacific Island Ecosystems at Risk). 2004. Buddleja davidii Franch., Buddlejaceae. Richard, S. 1996. Invasive Plants: Weeds of the Global Garden. In Randall, J.M. and Marinelli, J. (eds). Brooklyn Botanic Garden Handbook: 149. Smith, A.C. 1991. Flora Vitiensis Nova: A new Flora of Fiji. Lawai, Kauai, Hawaii, National Tropical Botanical Garden 5: 74. Wagner, W.L., Herbst, D.R. and Sohmer, S.H. 1999. Manual of the Flowering Plants of Hawai`i: 415. University of Hawai`i Press: Honolulu.